HIS NUMBER IS 5 + 1. AVIGNON CAPITAL OF THE KINGDOM OF FRANCE. It really looks like a city of a medieval tale. Four quatrains Nostradamus wrote about this ancient city. 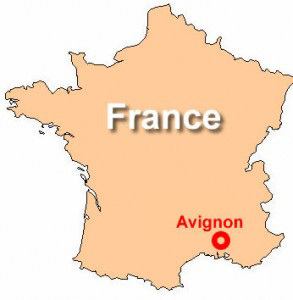 + Avignon is a French city and commune, capital of the Vaucluse department in the Provence-Alpes-Cote d'Azur. It is located on the left bank of the Rhone River in the department of Vaucluse, about 653 km southeast of Paris and 80 km northwest of Marsella. .... and Carpentras near to Avignon. + Aviñón not only an administrative, but also a cultural and artistic showcase of first order . 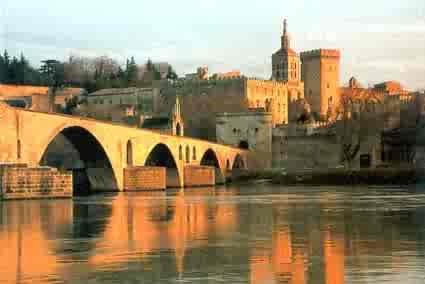 It is a protected heritage village, as evidenced by the statement, in 1995, the center of Avignon as a World Heritage Site by Unesco. + The walls (Remparts) of the city, in good condition, were built by the popes in the fourteenth century, are still around Avignon and one of the best surviving examples of medieval fortifications. + Of the 94,787 inhabitants of the city (as of 1 January 2010), about 12,000 live in the ancient town centre surrounded by its medieval ramparts. This is one of the few French cities to have preserved its ramparts, its historic centre, the palace of the popes, Rocher des Doms, and the bridge of Avignon. in the middle of which he will come to lay down his sceptre. 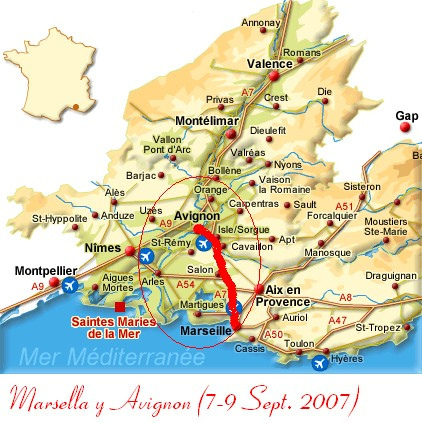 + The origin of Avignon is the Des Doms rock on which it stands. Farallon strategic defensive and was soon fortified. The city called "river town" or "town of violent wind", meets both nicknames. Place important from the twelfth century by the bridge across the Rhone allowed. But it will be in the fourteenth century when the arrival of the Popes in Avignon transforms a SECOND ROME. Earth-seekers, the city will attract foreigners, businessmen, exiles, bankers, religious edges and across Europe. Even those who were persecuted found shelter in Avignon, as the poet Petrarch. + Usually this quatrain is related to Napoleon and the Islands where he lived his last years, but this is nonsense. Elba and St. Lucia are islands and have not grown in any sense. + Other people say that is Bonn because the city of Bonn was the capital of West Germany after the defeat of the Third Reich (Third Empire). + These are two quatrains difficult to understand but it is clear that the king will reign in Avignon. Le roy de Bloys (1) dans Avignon regner. The king of Blois(1) to reign in Avignon. 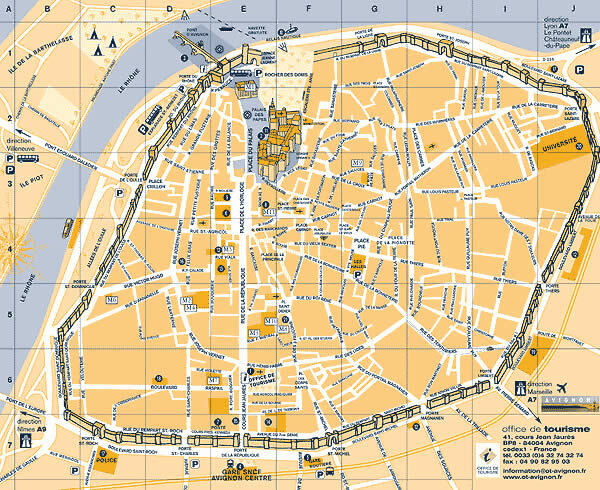 (1) BLOIS is the capital of Loire-et-Cher department in central France, situated on the banks of the lower river Loire between Orléans and Tours. +The Royal Château de Blois is located in the Loir-et-Cher département in the Loire Valley, in France, in the center of the city of Blois. The residence of several French kings, It became the favourite royal residence and the political capital of the kingdom under Charles' son, King Louis XII. + Louis XII was born on 27 June 1462, in the Château de Blois, Blois, Touraine (in the contemporary Loir-et-Cher département) and called "the Father of the People" (French: Le Père du Peuple). (2) AMBOISE is a commune in the Indre-et-Loire department in central France. It lies on the banks of the Loire River, 17 miles (27 km) east of Tours. Today a small market town, it was once home of the French royal court. + The royal Château at Amboise is a château located in Amboise, in the Indre-et-Loire département of the Loire Valley in France. Confiscated by the monarchy in the 15th century, it became a favoured royal residence and was extensively rebuilt. King Charles VIII died at the château in 1498 after hitting his head on a door lintel. (3) SEME or Semé Related with the Heraldry.When the field (or a charge) is described as semé or semy of a sub-ordinary or other charge, it is depicted as being strewn over with many copies of that charge. Semé is regarded as part of the field. (5) BONI: Perhaps is Cape Bon, Tunisia, near of Tunis. Jusques a cinq le dernier pres de Nolle (1) . Five till the last one near Nole (2) ( or Nolle, Nolie ....) . + The royal castle of Blois, is overlooking the city. In 1429 Joan of Arc used it as his base of operations for the battle of Orléans. In the sixteenth century during the Renaissance, was the favorite residence of the rulers of Francia. (2) Nole is a comune (municipality) in the Province of Turin in the Italian region Piedmont, located about 25 km northwest of Turin in the lower Canavese, at the feet of the Valli di Lanzo. 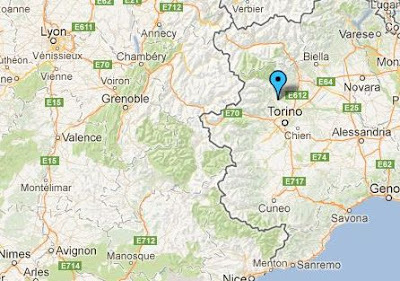 + Nole is very small (blue spot) , perhaps Nostradamus is referring to Turin. + Lyon, Avignon and the Rhone river on the other side of the Alps, but close. + by Google maps. + I guess the King of France launched a military offensive along the river Rhone. he exceed five defensive lines and will reach the vicinity of Turin finally. AVIGNON & THE NAME OF THE GREAT KING. + And what will be the name of the king who will conquer Avignon? Carpentras(3) pris par duc noir rouge plume. (3) Carpentras taken by a black duke with a red feather. (1)- "Chyren" possible anagram of "Henryc" (Old French, is "Henri"). (3)- Carpentras is a town and commune of France, situated in the Vaucluse department in the Provence-Alpes-Cote d'Azur. Is the sub-prefecture of the district and the head of two cantons. 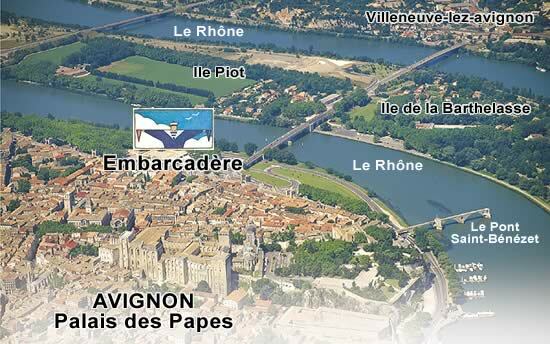 Is next to Avignon. & DUKE A duke (male) or duchess (female) can either be a monarch ruling over a duchy or a member of the nobility, historically of highest rank below the monarch. The title comes from French duc, itself from the Latin dux, 'leader', a term used in republican Rome to refer to a military commander without an official rank (particularly one of Germanic or Celtic origin), and later coming to mean the leading military commander of a province. + I guess the Romans seek help to free Italy and to win the Rome's Muslim conqueror. + Meanwhile Carpentras will be liberated by a BLACK general WITH A RED FEATHER. And with the sole title of mighty will he be quite satisfied. + It is obvious, right? + And this is the reason that Nostradamus wrote a "Epistle to Henry the second". 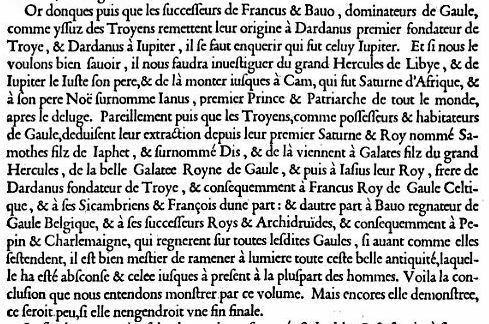 No "Henri II" but "Henri The Second" because he prophesied his death in a tournament and "Second" in latin means SECUNDUS namely "next", "following", "second" & "favorable". "Henri The Second" means "Henri The Favorable" (one that helps to make something, promote, encourage, etc ...). +Now the "Epistle to Henri" makes sense, the first lines of the letter are in agreement with the contents of the quatrain 70 of Century 6. Faciebat Michaël Nostradamus Salonae Petrae Prouinciae. + “Trojan blood” is a reference to the legend that the first Frankish kings were descended from Francus, son of King Priam of Troy. The Merovingians were the first kings of the Franks. 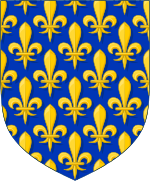 + The term House of France refers to the members of the Capetian dynasty from which came the Kings of France since the election of Hugh Capet. In retrospect of the monarchy, the Merovingians and Carolingians were encompassed by the House of France by French historians and jurists.In contemporary times, both King Juan Carlos of Spain and Grand Duke Henri of Luxembourg are members of this family, both through the Bourbon branch of the dynasty. +He was promoted to cardinal, taking the same title formerly held by his uncle, Cardinal of San Pietro in Vincula. With his uncle as Pope, he obtained great influence, and he held no fewer than eight bishoprics, including Lausanne from 1472, and Coutances from 1476, along with the archbishopric of AVIGNON. b)- Ascanio Maria Sforza Visconti. + He was Pope from 1305 to his death. He is memorable in history for suppressing the order of the Knights Templar and allowing the execution of many of its members, and as the Pope who moved the Curia from Rome to AVIGNON, ushering in the period known as the AVIGNON PAPACY. 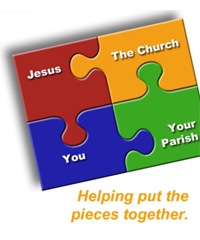 b- St. James is known as "the Greatest", distinguishing it from the other Apostle James "the Less". He is represented as a humble pilgrim, who preaches with a cross and a Bible. Sometimes leaves represented with a scallop shell around his neck that is one of his apostolic symbols like the cross of James, is represented as a red flowered cross in which the bottom of the cross appears as sword. 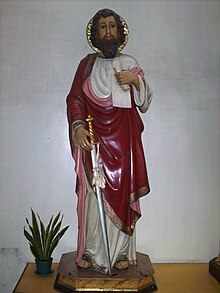 c- St. Matthias was chosen by the eleven apostles after the death of Judas Iscariot to take the place of it. The legends about his martyrdom narrated the apocryphal literature have attributed this apostle different symbols, such as the halberd, stones, the cross, the sword ... but the best known is the ax. -Mainly the apostolic symbol of St. Peter are some keys, because Jesus promised the kingdom of heaven before he died. -... 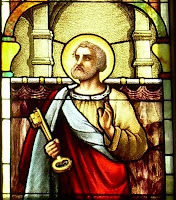 But the Sword of Saint Peter can be allegedly the sword with which the Apostle Peter cut off the ear of the high priest's servant at the time of Jesus' arrest in Gethsemane. -St. John the Evangelist, is distinguished as "the disciple whom Jesus loved." Most of the time the Apostle John was wearing a sort of interprets rolled parchment or a pen, and accompanied by a flying eagle symbolizing the living quarter of Revelation. + Legitimism is the name of the current that supports the restoration of the reign of the House of Bourbon in France. Loyalists recognize, since 1830, the Bourbons as heirs to the throne of France, in the event that the monarchy was restored in that country. They oppose the Orleanists, supporters of the descendants of the last French king, Louis Philippe I. + King Henry VI to reign in France and Avignon will be the Capital of the Kingdom. The Arabs will expire and he will restore the power of the Pope of the Catholic Church recovering Rome.The pleas of the Romans in his letter are accepted. ADD 09. DECEMBER 10, 2012. 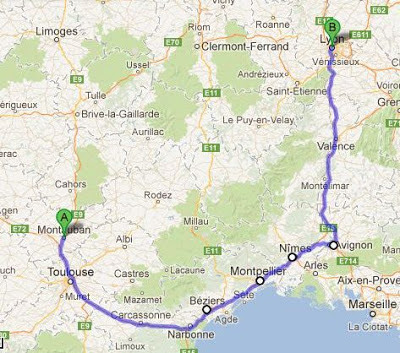 - PARIS, AVIGNON & THE MYSTERY OF THE CITIES OF SOUTHERN FRANCE ( and a curious mathematical problem). (or "After 600 & 7 23 parts (or pairs)"). What makes these cities so special to Nostradamus? + Montauban, Beziers, Montpellier, Nimes, Avignon, Lyon (The wall). + Is the path it takes an army to get to Lyon? + You, French citizen, What do you think? + ..... The quatrain could mean the end of March there will be a military offensive from Montauban and Bezieres to Lyon, where the invading army will be stopped. I do not know that can mean the last numbers of the last verse. Maybe a French citizen of that area can tell me what mean these quantities and their relationship. + ..... And the people of PARIS will flee from this great city for some awful reason (perhaps related to the Tricastin s power and the fury of Anibal). ADD 10. December 21, 2012. AVIGNON SHOULD BE SACKED BY THE INVADERS. Vast, feu, fer pillé Avignon des Thurins. devastation, fire, sword, pillage at Avignon by men of Turin. 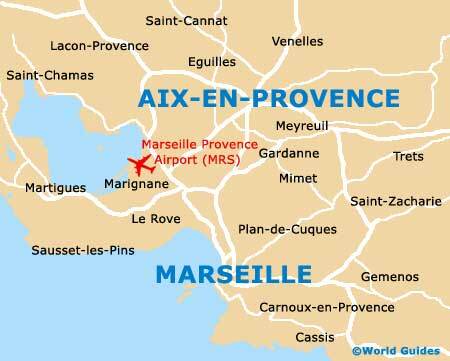 +Avignon, Arles, Aix-en-Provence and Marseille are cities of Provence (France). TURIN is a city and major business and cultural centre in northern Italy, capital of the Piedmont region, located mainly on the left bank of the Po River, in front of Susa Valley and surrounded by the western Alpine arch. +I think the Provence will be invaded by people coming from Italy. +Those who looted Avignon, these military will have been destined in Turin. +It seems that the invasion will come from the sea, is a strange tradition: So the key issue around Marseille? This is an enormous puzzle. Everything revolves around Avignon: Defeat, leaving Rome, martyrdom, King, victory, restoration of the Catholic Church, and expulsion of Muslims. + "Les illustrations de Gaule et singularitez de Troye, par Maistre Iean le Maire de Belges. Avec La couronne Margaritique, & plusieurs autres oeuvres de luy, non iamais encore imprimees." + FRANCE 02: PARIS DEVASTATED & 3 WARNINGS OF ST. JOHN BOSCO.